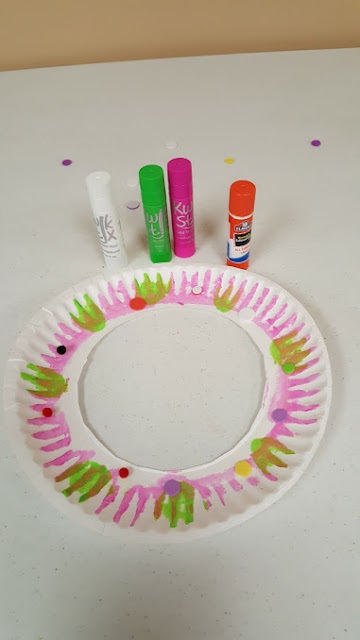 Paper Plate Donuts are a fun craft to make with the little ones! We paired this activity with the adorable children's book If You Give a Dog a Donut. Harper and I love to get crafty together! We often pull out our Kwik Stix and paint together! She loves the freedom of painting without an anxious mom and I love offering her an outlet for her creativity. We also love to read great stories together! So, on this day, we combined the fun of a craft using Kwik Stix with a favorite book to create paper plate donuts! This craft is incredibly easy but offers so many options for creative expression in toddlers and preschoolers. 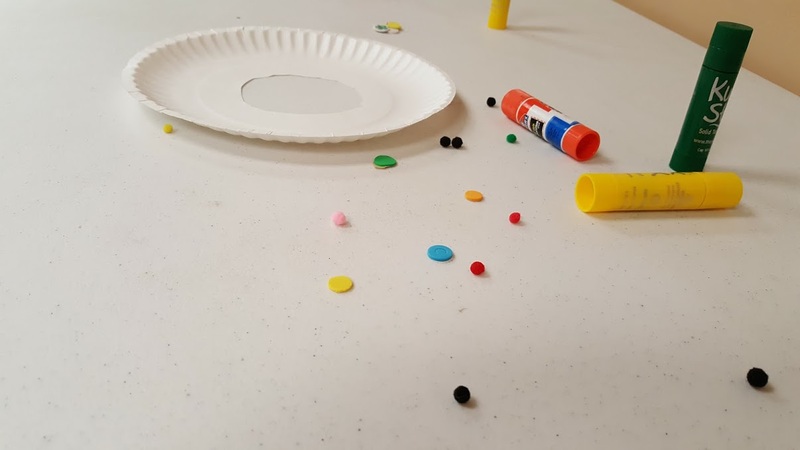 You can have the supplies ready in under 5 minutes for crafty fun with the kids. Cut the center out of your paper plates. 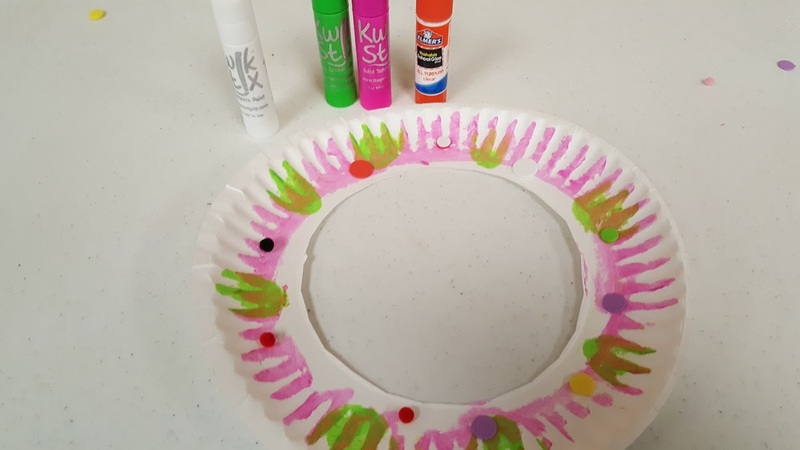 Offer the kids the Kwik Stik, if you don't have any paint sticks, you can use markers or crayons. After the paint has dried (it only takes 90 seconds) have the kids glue on pom poms or paper bits or sprinkles. 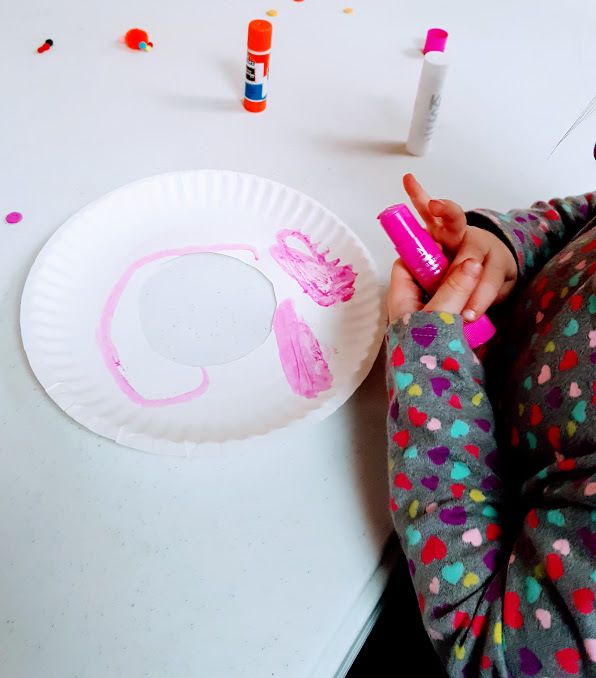 There you have some adorable and easy crafts to pair well with a fun book!